Crewing RAAM 2016 was the hardest thing I’ve ever done. Period. Writing a blog post about crewing RAAM was the second hardest thing I’ve ever done, which explains why this is 6 months overdue. I’ve spent long hours with countless PBR’s trying to reduce 12 days of nonstop action into one readable blog post, so here goes! He was right. But I couldn’t say no. I was homeless, self employed, and always down for adventure. Trifecta! 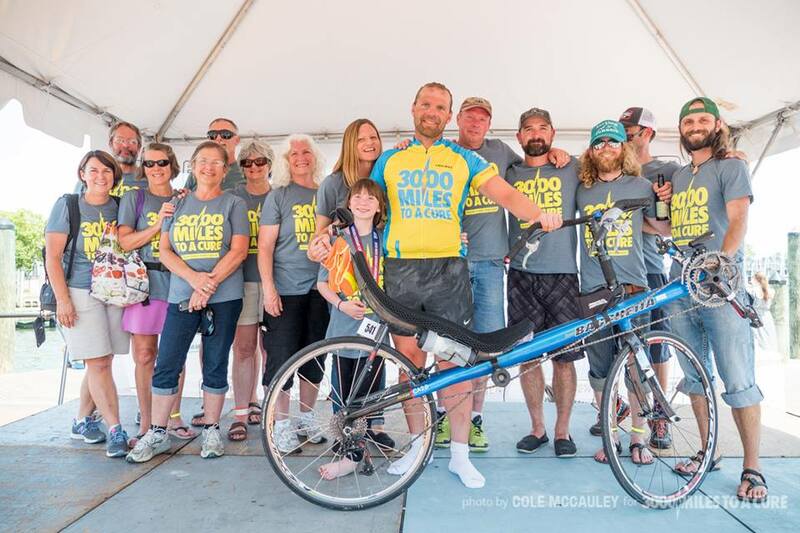 Race Across America (RAAM) is exactly that, a 3,069 mile bicycle race across the United States. The Tour de France has 21 stages, meaning racers finish each stage and get sleep before the next day’s stage. RAAM is one stage. When the race starts there are no stops until the finish. Riders choose how much, or how little, they sleep and how far they can push their bodies before reaching the breaking point. This also makes it difficult for crew members. Starting in Oceanside we were constantly working or sleeping until we reached Annapolis. 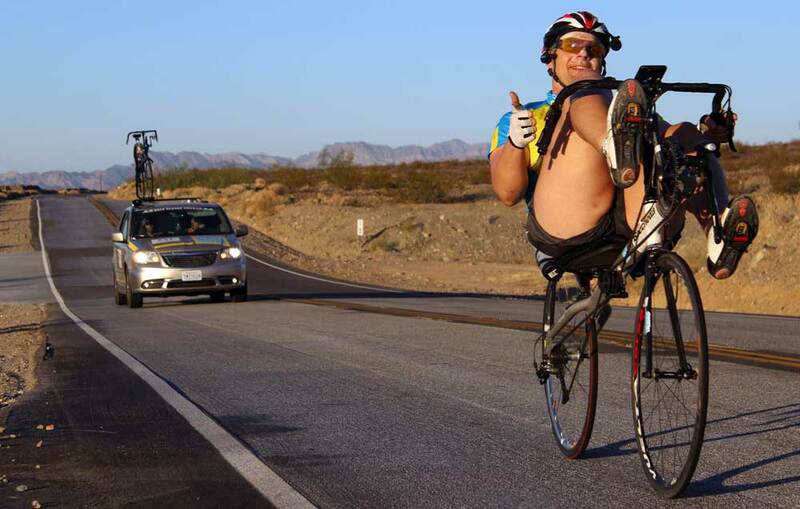 A RAAM solo racer rides their bicycle 20 or more hours per day, every day, for 12 days. If they aren’t on the bike they are eating, going to the bathroom, or sleeping. That’s it. Their crew tells them where to turn, how much they’ve had to eat, when they should pee again, and how fast they should be pedaling. A racer has one job, to stay on the bike. A crew member’s only job is to keep the racer on the bike. It sounds simple, but it’s actually a lot of work. 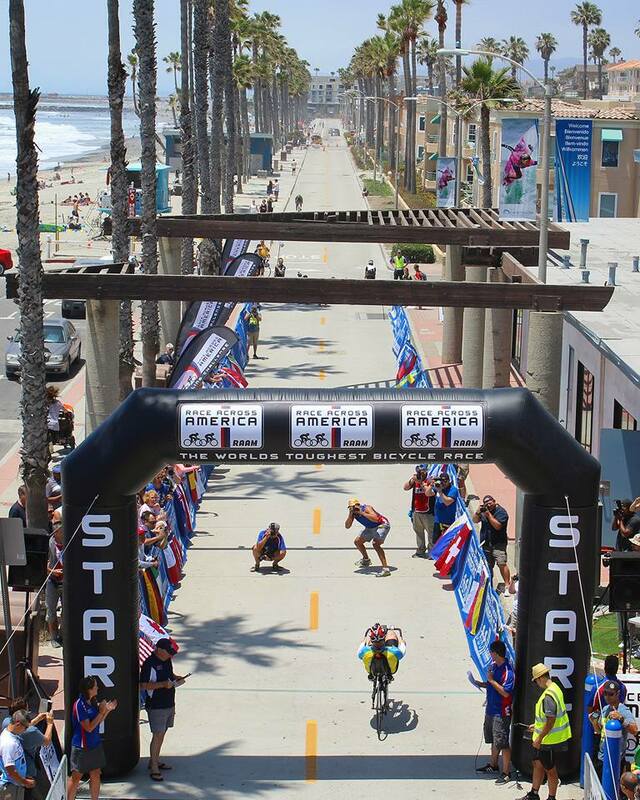 The race began in Oceanside, California. We spent several days as a crew getting to know each other, preparing the vans, and working with Rob’s charity 3000 Miles To A Cure. 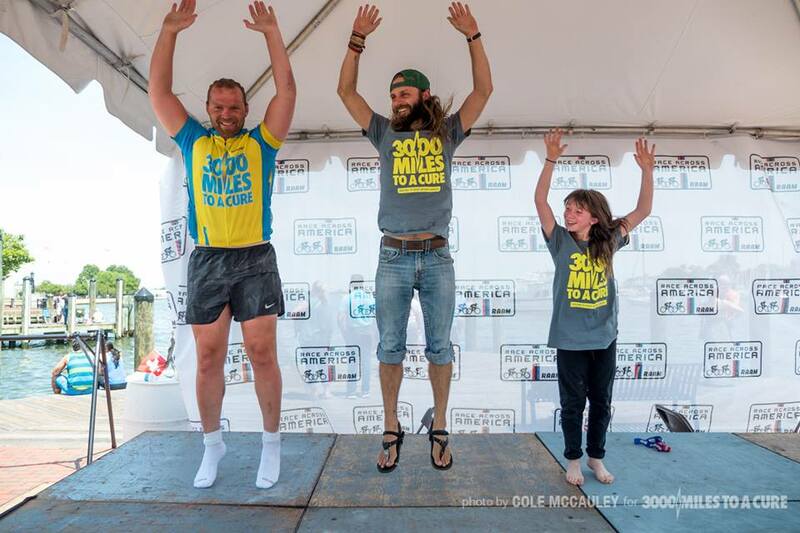 During that time someone made Rob a bet that the crew would do a burpee for each mile that Rob cycled. I had no idea what a burpee was, but I made the horrible decision to make it my own personal goal to do 3,000 burpees before the end or RAAM. More on that later. 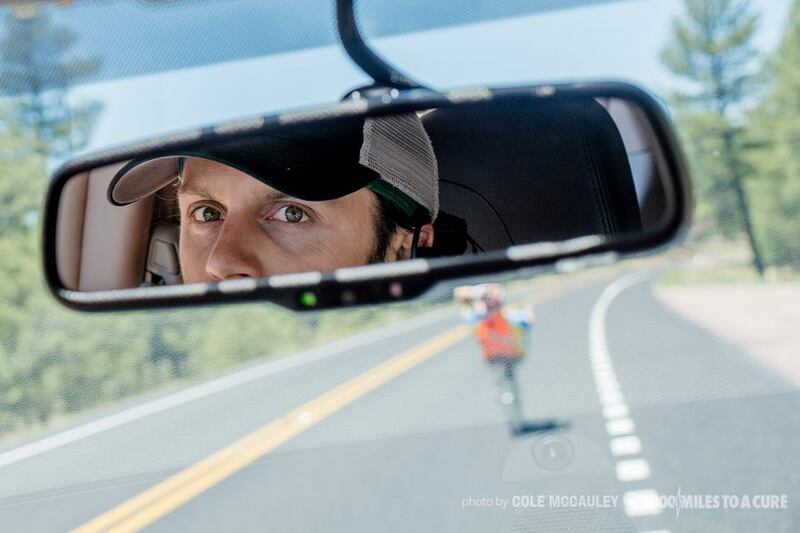 From the start of the race Rob rode hard through California and Arizona, skipping sleep for the first night. As the night crew we caught a few hours of shuteye and picked Rob up in the California desert. We led him through the dark of the night and reached the Arizona state line just after sunrise. We were only a day into the race and I was in the navigator’s seat when I took Rob down a wrong turn and got him lost. Unfortunately, that wouldn’t be the only time. Rob continued riding through Arizona and with the day shift taking over the night shift jumped ahead to Prescott to get a hotel room, take a shower, and sleep. My family in Prescott joined us for pizza before we zonked out. We were only a few hundred miles in but it was already apparent how tough this gig would really be. With the first state out of the way the rest was a blur. We raced through the narrow, winding, dangerous roads of Northern Arizona, across the Navajo Reservation, and to another few hours of sleep outside of Utah’s Monument Valley. In the early morning hours we were treated to incredible views while Rob pedaled through the red desert. As Rob pushed west we stepped up as the night crew, keeping him awake with caffeine, talk, and blasting loud annoying music from the loudspeaker mounted on top of the van. There were times when we could see Rob rocking back and forth on the bike, essentially falling asleep while he was pedaling, but he mostly kept himself upright until we allowed him to finally step off and sleep. One of the most difficult positions on the crew was navigator/talker. The passenger seat in the follow van was dedicated to the person reading the turn by turn book while using the walkie talkie to constantly talk with Rob, who, unlike many riders, talked nonstop. An hour or two chatting with Rob could leave you drained more than an ultramarathon, but it energized Rob, and we were there to do whatever it took to get him to the finish. Colorado was my breaking point. After several days of nonstop action I’d had enough. We led Rob to the state line, passed him off to the day crew, and hopped in the van to the Durango time station. I could barely think straight, grabbed my sleeping bag, tumbled onto the grass and passed out until the crew woke me to head to a hotel. After a few more hours of sleep, and lots of coffee, I was back to normal. Rob cruised through Durango and we led him toward the three big mountain passes that were sure to test his limits. 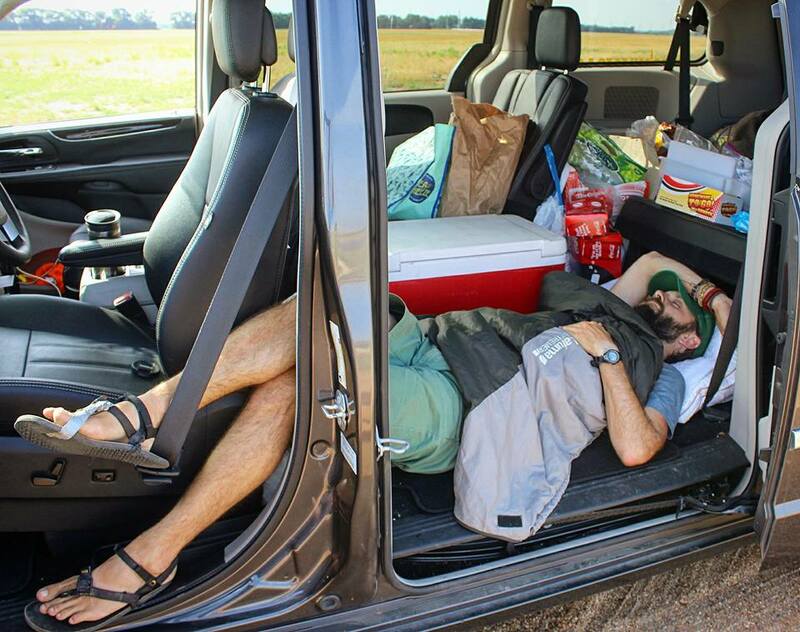 He slept briefly in the van on the side of the road while we reorganized gear and did our burpees in the parking lot. Just before sunrise Rob stirred and got on his bike for an incredible day in the Rockies. Rob had to climb 3 major passes before settling into the middle plains and we were there to lead him up and over Wolf Creek Pass, 10,856 feet above sea level. One would imagine that cycling up a mountain would induce extreme exhaustion, but Rob was peppy and jazzed as we got out and cheered for him. The energy at the summit was palpaliable as Rob wheeled up, took a victory photo, and pedaled on to take advantage of the downhill speed. After Colorado we hit Kansas. Rob had spent the previous year praying for tailwinds because a headwind could spell disaster. Well, we had tailwinds! The night crew witnessed some truly magical sunrises across the Great Plains, but we were all happy to get through Kansas and Missouri and across the Mississippi to tackle the Eastern United States. 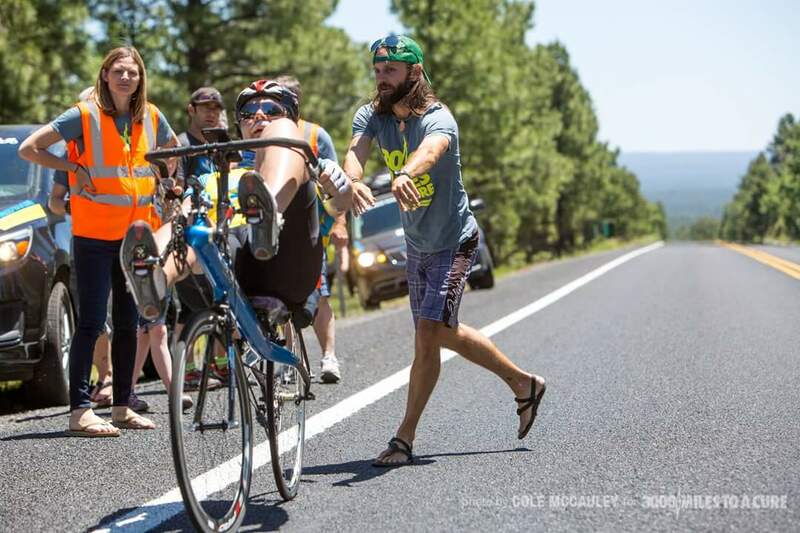 Unfortunately, my home state did not show so well in RAAM 2016. While winding through the rolling hills of Southern Indiana we were tailing Rob on his cycle when a red pickup truck pulled up beside him and started yelling. We pulled our van ahead to talk to the driver. He yelled at us a lot, something about a bicycle rider spraying his dog with a water bottle. I figured he just needed to yell, so I gave him my number and told him I’d take care of the vet bill. I never got a phone call, but more importantly, Rob didn’t get run off the road. Rob survived Indiana, Ohio, and West Virginia. We were on night shift when Rob was approaching Gettysburg National Military Park and I was serving as navigator and conversator when we crested a hill and entered the historic park. Thick fog rolled across the road in between the monuments and cannons. For once, Rob was speechless. Well, for just a moment. When the silence cleared we couldn’t stop talking about how mystical it was, to be passing through Gettysburg in the still of the night, so much history, so many stories, so much energy in that area, all for us to take in and witness in the solitude of the dark. Truly spiritual. Rob inched toward Annapolis, MD and we could all taste sweet victory. Well, that and cold beer. The entire event was dry for the safety of the riders and crew and many of us were ready to break our 12 day prohibition of cold drinks! Through the final few hundred miles Rob was up and down. He’d be soaring high then hit a huge low. We pumped him full of caffiene pills and Red Bull until he could no longer stay on his bike. Then, we’d push him a few more miles until he threatened mutiny, and since we couldn’t continue without a rider we’d relent and let him rest. While he slept we did calculations of miles and hours, teetering on the edge of not making the cut offs and just missing an official finish. But every time Rob napped he would pop up, hop on the bike, and speed off east, surprising all of us. The night crew brought Rob into the final time station cut off where he had to serve a mandatory 1 hour penalty for his crew (us) running beside him in Colorado (see above photo). By now he had made up time and was a few hours ahead of the cut off, so he was happy that a mandatory 1 hour penalty meant 1 full hour of sleep unencumbered by his night crew telling him to get back on his bike and keep moving. Rob slept while we made final preparations for the finish line, including an order for cold brews. When he awoke Rob’s day crew took over and his wife Kristin talked him to Annapolis. 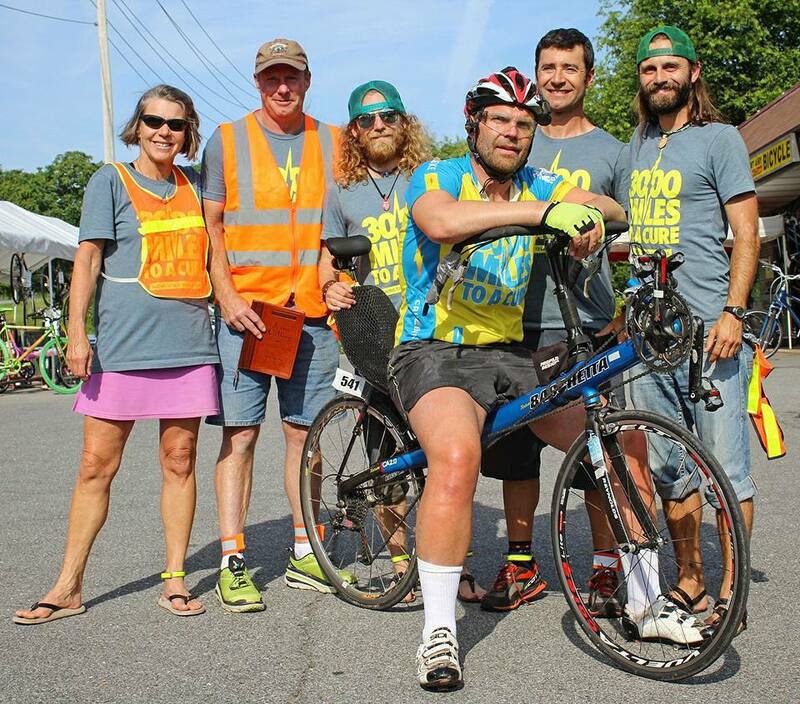 He battled some pretty serious sleep deprivation in the last 50 miles, but 11 day 21 hours and 3 minutes later Rob rolled across the finish line and it was all over. Rob had ridden 3,069 miles from the Pacific Ocean to the Atlantic Ocean and he celebrated by joining me for my 3,069th burpee on stage. And that was that, it was done. Well, it was done for Rob. 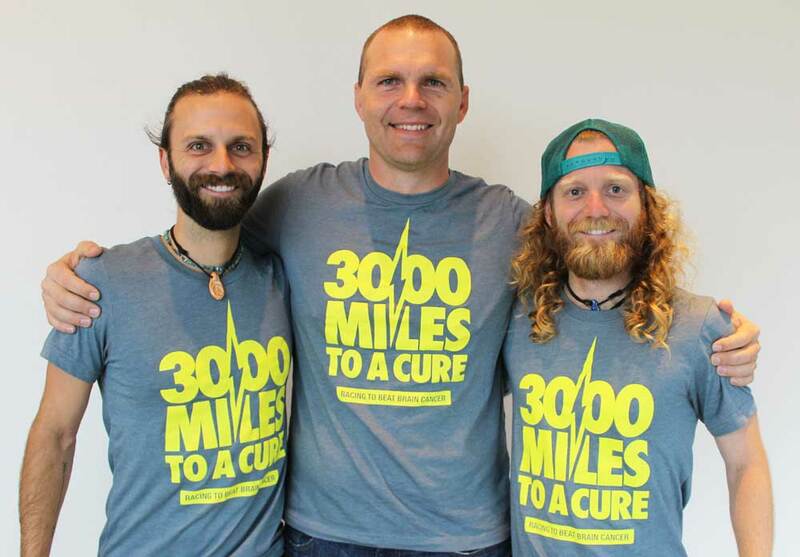 Marshall Reeves was also racing for 3000 Miles To A Cure and Tyler and I jumped into a media car and drove a couple hundred miles back to join his crew because 2 of their members had departed earlier that day. 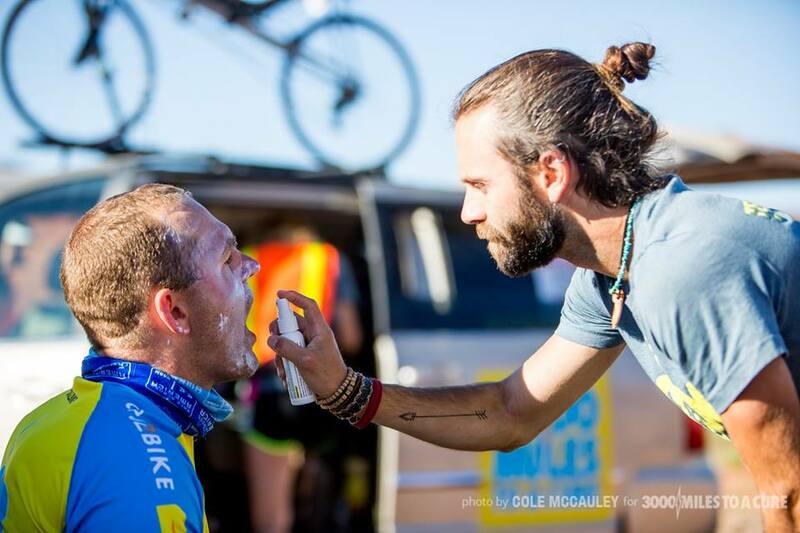 Over the next 24 hours Tyler and I worked with Marshall’s crew to keep him moving from checkpoint to checkpoint while we caught a few hours of sleep in gas station lawns, bike store parking lots, and the at finish line. The next morning Marshall crossed the finish line and it was finally all over. Tyler and I grabbed cold beers, celebrated with Rob and Marshall, and headed back to the hotel with both crews. It was time to party, eat, and sleep. Crewing RAAM 2016 was truly the toughest thing I’ve done in my life. Constantly working for Rob’s success for 12 straight days was not easy. We had minimal sleep in sometimes seedy hotels, spent hours driving at the speed of a bicycle across the United States, and sat in close quarters with new friends in crew vans for days on end. It wasn’t easy, but it was awesome. And, like any endurance event, we came out of it with new best friends. One final thing I do want to say is that Robert DeCou is truly amazing. The guy just never gives up. His fortitude, constitution, focus, and positive attitude is like nothing I’ve ever seen, or may ever see, in another human being. The opportunity to join Rob on this epic adventure was more rewarding than I’ll ever be able to express and if you ever get the chance to meet Rob in person, I know you’ll understand. 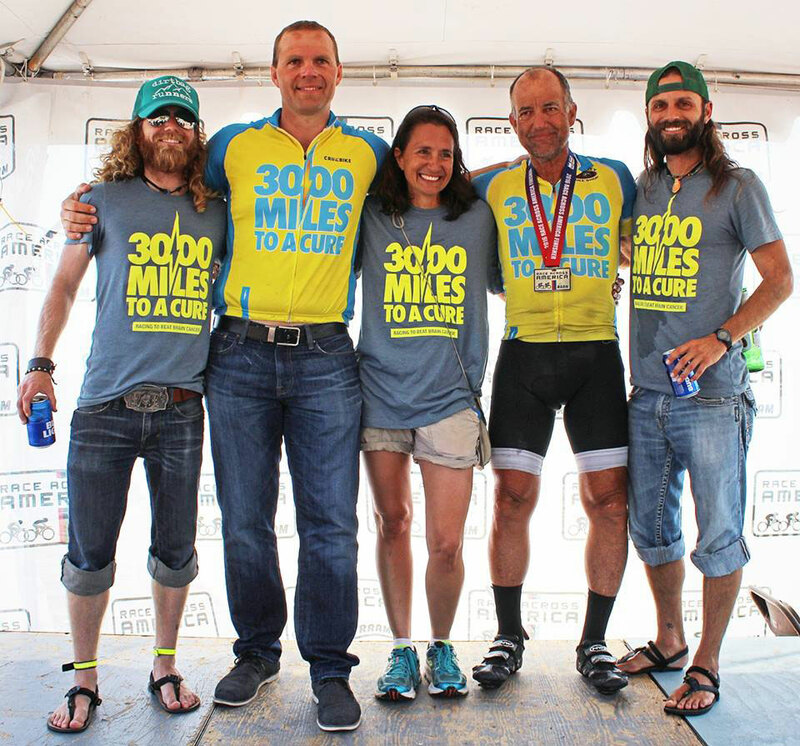 Oh, and I guess now would be a good time to mention that I’m racing in RAAM 2017 as a 4 man team to raise money to end brain cancer…check out 4 Dudes Race 3000 Miles To A Cure here!